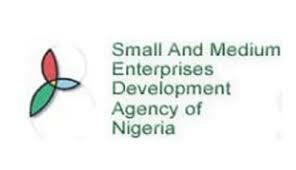 NBS, SMEDAN Commence National Survey On MSMEs Today – Royal Times of Nigeria. The National Bureau of Statistics, NBS, is set to commence the long overdue national survey on micro, small and medium enterprises, MSMEs. According to a statement by the NBS, the survey for the 2017 fiscal period will be done in collaboration with the Small and Medium Enterprises Development Agency of Nigeria from today, the nineteenth of July to the second of August, 2018. The last survey to determine the total number of MSMEs operating in Nigeria was conducted back in 2014, which revealed thirty-seven-point-zero-point-six million MSMEs in the country employing fifty-nine-point-seven-four million people. This survey, which is the third in its series, is aimed at generating evidence and policy-relevant information on nature and operations of MSMEs in Nigeria.